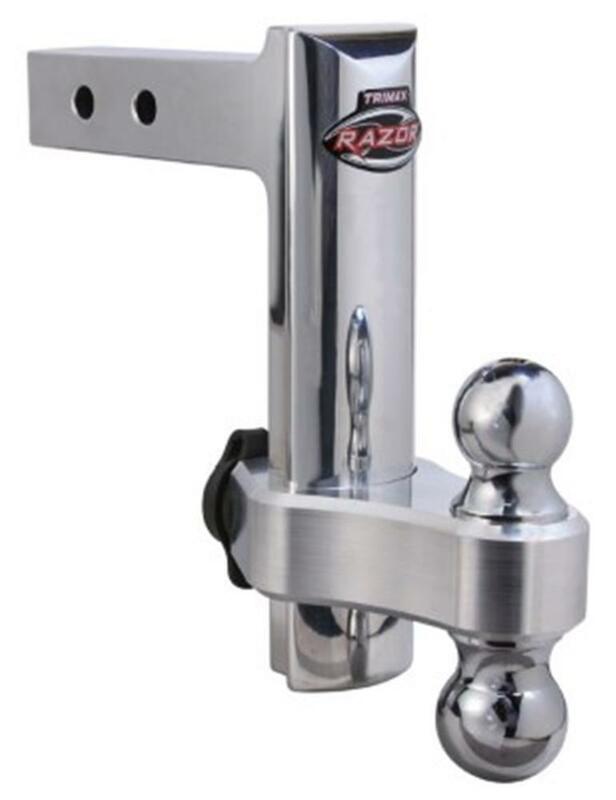 From the manufacturer that produces “The World’s Toughest Lock’s”, Trimax™ Engineering introduces the Razor™ aluminum adjustable hitch. 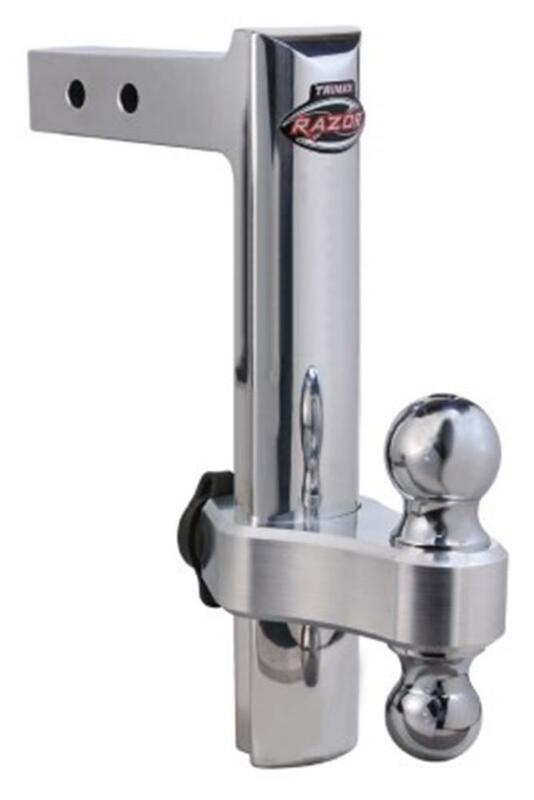 This heavy-duty ball mount hitch is machined from solid billet aluminum for unmatched styled and strength! Adjusts up and down in 1” increments and locks firmly into place, this versatile ball mounts let you dial in the ideal height for safe, stable and secure towing. Available in your choice of 6”, 8” and 12” sizes. With strength to match it’s good looks this powerhouse is rated at 10,000lbs towing capacity with a 1,500lbs maximum tounge weight. Includes dual hitch ball and keyed-alike receiver lock to complete the package. Limited lifetime warranty and proudly Made in the USA.